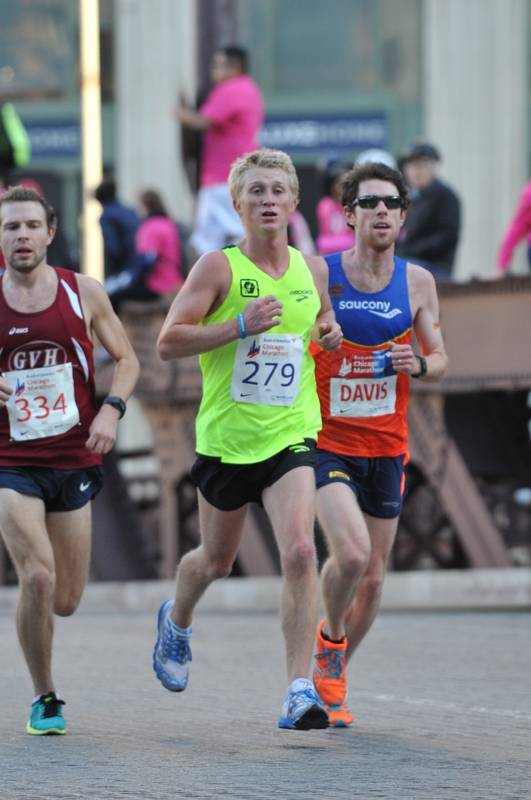 At the young age of 23, John Dewitt achieved what many MKE runners can only dream of – running an Olympic Trials Qualifying Time and finishing among the Top 10 Americans at the Chicago Marathon – one of the biggest races in the world. And did we mention this was his marathon debut?? 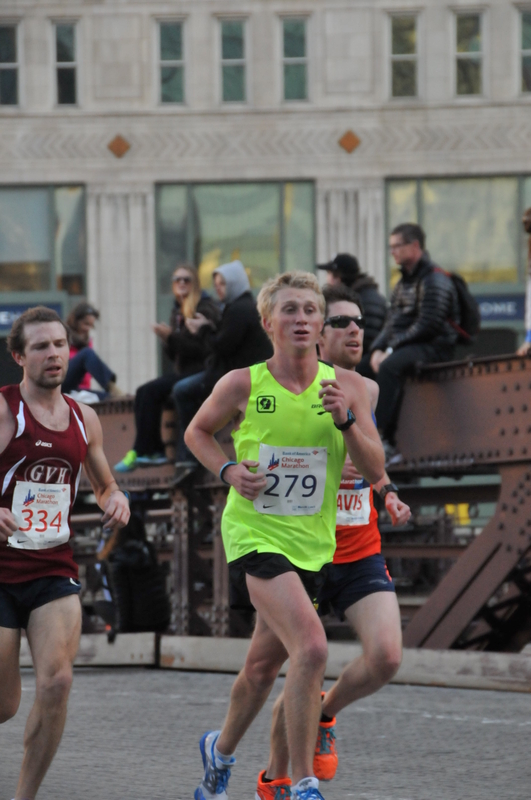 Below, this amazing MKE runner tells us what led him to try the marathon distance, his training leading up to Chicago and what’s next on his list of running goals! Why did you start running and what’s kept you running over the years? I started running as a part of the McDill Running Club in 4th grade in Stevens Point. It was just a few miles, 3 days a week, but it really got me excited. I was always a young man with a lot of energy, so it was a great way for me to burn some of it and be competitive in the process. After a few years of doing that, I put it down and picked it back up my sophomore year of high school, when I joined track and field. Ever since my first two mile, I have always loved how exciting it was to push myself to my limits. I quickly fell in love with running and haven’t stopped since. Can you tell us a bit about your running career to date? As I said, I picked up track as a sophomore in high school and then proceeded to join cross country as junior, where I made my first trip to the State meet. From there, I qualified for State again as a senior in both cross country and track (2 mile). As my high school career wrapped up, I decided to go to the University of Wisconsin – Oshkosh with the dream of becoming an All-American. Finally, after 14,000 miles of running and 4 NCAA National Championship appearances, I achieved my dream in my senior cross country season, finishing 32nd at the 2012 NCAA Division 3 Cross Country Championships. I followed that up in track with a 5th place finish in the 10,000m run, and my second NCAA Division 3 All-American title. After college, I had to find a new dream, which quickly became qualifying for the Olympic Trials. 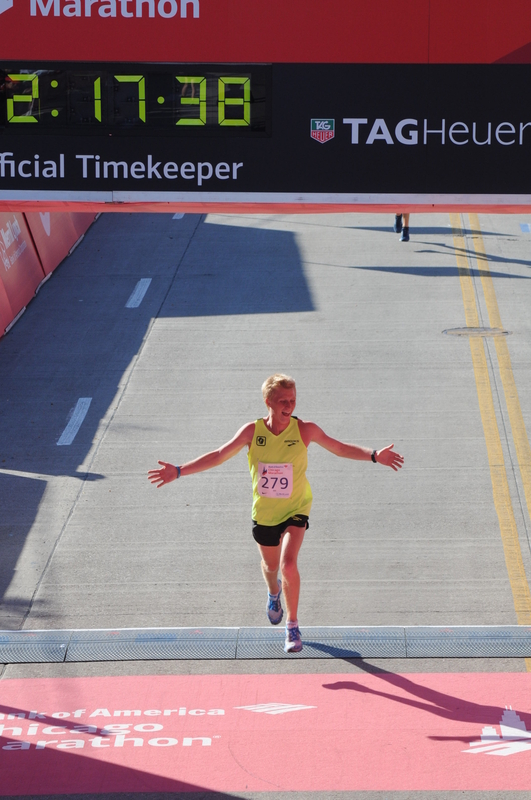 I ran my first half marathon in fall of 2013, where I was 40 seconds away from qualifying for the Trials. 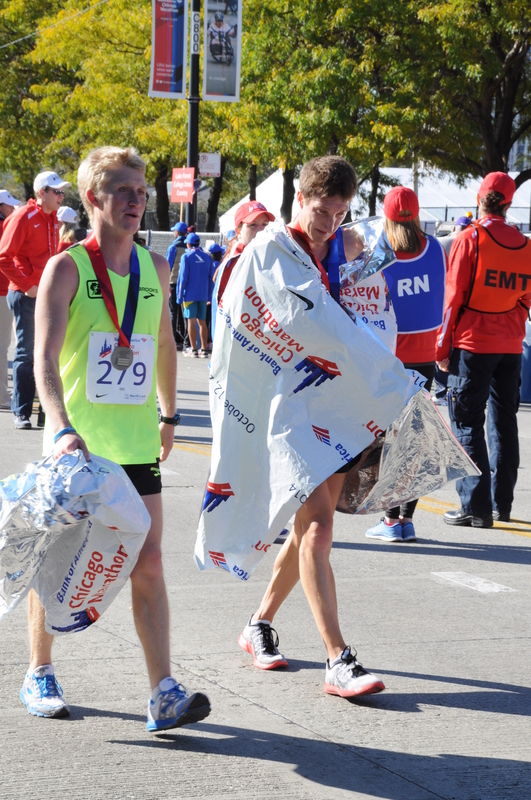 Another year passed, and I decided to take a step up to the marathon, making my debut at the 2014 Chicago Marathon. In my debut, I ran 2:17:38, which was under the qualifier for the 2016 Olympic Trials in Los Angeles. Congrats on an amazing marathon debut and OTQ time your first time out. What prompted you to move up to the marathon distance? Throughout my running career, I had always gotten better as the distance had increased. I was a better 2 miler than a miler and a better 10k runner than a 5k runner. So, naturally, I knew my best shot to qualify for the Olympic Trials would be in the marathon. After I got so close in the half marathon in 2013, I knew it was time to give the marathon a try, and it’s worked out pretty well thus far. What did a typical training week look like for you leading up to the marathon? In my peak training time, I run around 90-100 miles a week, in 3-week bursts. So, every 4th week, I take a week down at around 70 miles per week. In those weeks, I do a lot of runs at a faster pace, just based on feel. However, each week is focused around 2-3 workouts, one of which being a long/hard effort, typically early on Sunday morning. Did you have any expectations going into Chicago this year? My goal was to qualify for the Olympic Trials, so I was super nervous headed into the race. Everyone had talked about “the wall” and how awful the pain in the marathon was. At halfway, I was super nervous and wasn’t sure if my body would hold up for the second 13.1 miles. However, I just kept moving along and, despite the major pain, was able to hold on to that 5:15 pace per mile. Looking back, are there any things you would have done differently during or leading up the race? Honestly, not really. It was one of the best races of my career and I ran it nearly as well as I could have. I just wish the day could’ve been more than 24 hours. Along with your own training and racing, you also coach high school track and cross country. Can you tell us how your own experience helps you help your teams? Also, how does coaching benefit your own running? I’m not sure that coaching helps my running; it is a large time commitment, where I am focused on the athletes’ training as opposed to my own. That being said, I absolutely love it. I love getting to hang out with my West Allis Hale boys and I get to live life with them, really using my experiences to give them perspective. With all the experience, I feel like I can offer insight into how they can make steps toward the next level and how they get back on track when the going is tough. Overall, I love being around the team and the guys. They continually remind me of the joy of running and being a part of a team. What running goals are you looking to tackle during the next few years? The next big thing on my calendar is the Olympic Trials in 2016. My training will revolve around trying to be fully prepared to perform my best at the Trials. Who do you look up to in running? I have been fortunate enough to have many great role models along the way. Honestly, there are simply too many great coaches and teammates from my time at Oshkosh West and UW Oshkosh that I looked up to, but I can say that each and every one of them had their impact on my career, in some way or another. However, most notably, is the impact my family had on my life. My parents taught me how to work hard and believe in myself. My brother modeled what it was like to be dedicated to running and chase after your dreams. And my sister continually reminded me how to take joy out of all situations. From my coaches, teammates, and family, I have grown a lot to be who I am today. I love to run along the lake, as the Oak Leaf Trail is a personal favorite of mine. Along with that, I use the lagoon in Veteran’s Park to do a lot of workouts. Also, I enjoy running on the dirt trails by the river in the summer. They aren’t the easiest to maneuver all the time, but I appreciate the soft surface and the feeling of being away from the world. 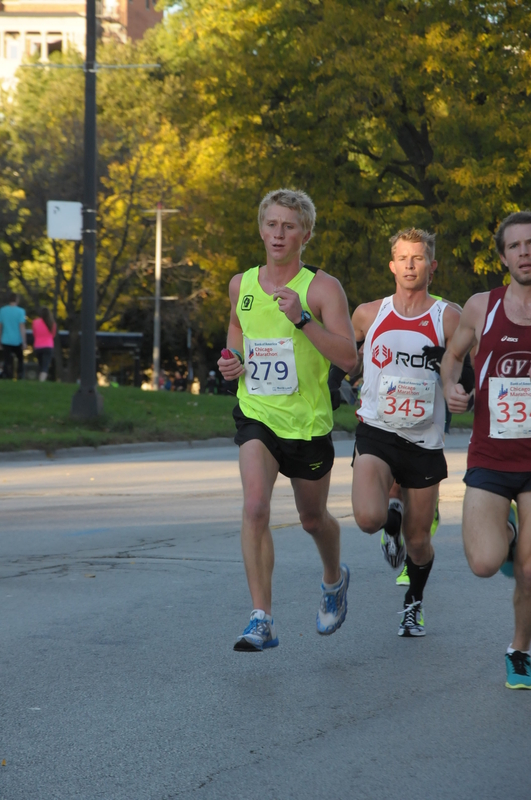 In general, what makes Milwaukee a great place for runners? There are just so many good runners in the area that it creates the opportunity for us to get together and build off each other. More than just training together, we get to watch each other be successful, which drives everyone to work harder and get better. I just want to give all glory and praise to the Lord Jesus Christ, my Lord and Savior. On top of that, I would just like to thank all the people who have been a part of my life in some way or another; it really has been quite the journey and I can’t wait for it to continue. Thanks for chatting with us, John! This entry was posted in MKE Runners and tagged John Dewitt, MKE Runners, Running in MKE. Bookmark the permalink.